"Mostovi" ("Bridges") are characterised by musical minimalism which still leaves enough space for the musicians' artistic expression and their own worlds guiding the audience to new dimensions. As for the performance, it boasts just the right amount of essence and a unique presence. 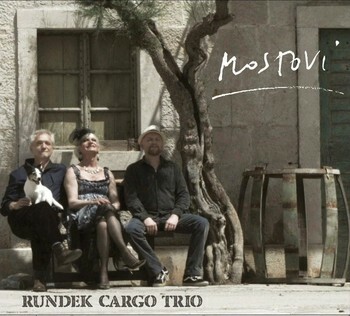 Taking part in stoping the loudness war, Rundek Cargo Trio decided to leave to recordings and entire album it's natural musical dynamics. If you are missing some loudness, lift the volume on your listening equipment a bit. Thank's. Enjoy! "It has been a while since Rundek last produced such coherent and excellent lyrics and music. I cannot say that he ever recorded a bad album in his life, but I also cannot think of a better album in his after "Haustor" career than Bridges. Although we are only in the first half of 2015, I am sure this is the best domestic album of the year," Ivan Lalić, a Croatian music critic, wrote on the web portal ravnododna.com.